There are now a huge number of consumers that are being pulled towards the Galaxy Note 2 and its 5.5-inch display as it allows them to own a phone, but also have access to tablet like features due to the size of the screen. Now it is being rumoured that Asus will reveal a 7-inch tablet/phone combo device at this month’s MWC 2013 event called the FonePad. The company has set a date of February 25th at the upcoming event, and Asus look set to provide us with a number of new devices. According to reports though the company is set to reveal a 7-inch tablet that is also equipped with voice communication compatibility. Asus already has the PadFone 2 and its predecessor but this is basically a tablet where users can dock the accompanying smartphone into, but this will have the calling features built into the device. Specifications of the rumoured device include the Intel Atom Z242 processor 16GB of onboard storage, 1GB of RAM, 7-inch IPS touchscreen display with a resolution of 1280 x 800, 3-megapixel rear facing camera, and 3G, Wi-Fi, Bluetooth, GPS connectivity. The device is also claimed to come running the Android 4.1 Jelly Bean operating system, and we recently heard that Asus were supposedly working with Google on a new Nexus 7 refresh with a Full HD display in tow. The FonePad is believed to cost somewhere around the $300 mark, but it remains to be seen if the buying public will take to such a device. Do you like the sound of the Asus FonePad? 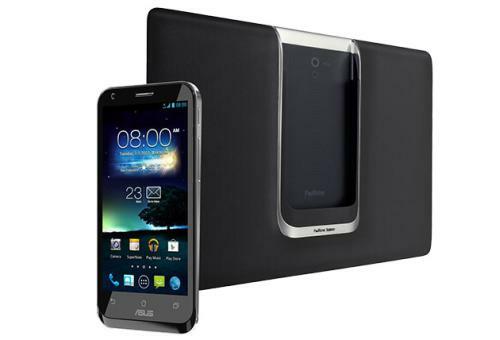 padfone for $300 US at 7″ and 1280x specs. are ok at best at that price point. i’d prefer they load it up with memory and quad core and hi res screen and sell it for a higher price. until USA carriers are forced to stop the “subsidized” plans (that are actually buy phone on a lease plan) and reap all sorts of stupid government protections for these outrageous plans….ill keep getting the latest fastest, most powerful device i can.if they stop the subsidized nonsense i’ll buy the best outright and be dollars ahead in using it.